Martyn Hilbert's Railway Photography - Industrial Locomotives - Elizabeth at Vulcan Foundry. 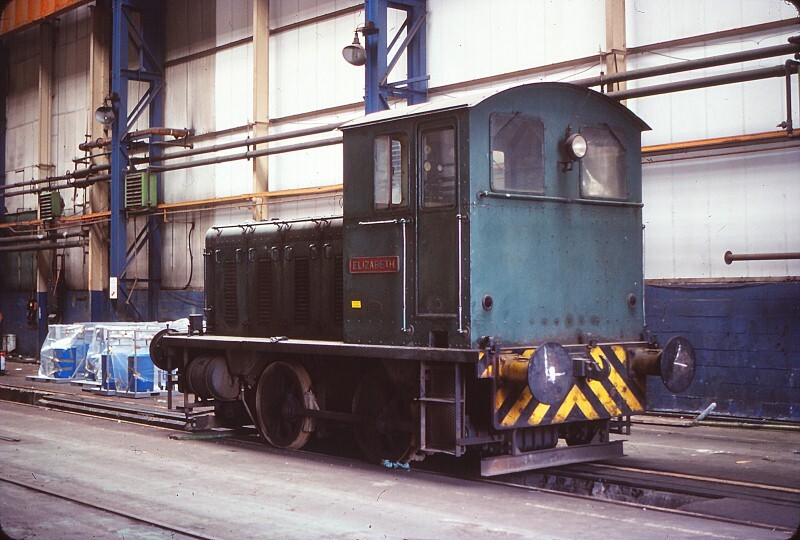 The works shunter at Vulcan Foundry at Newton-Le-Willows, 'Elizabeth', an 0-4-0 diesel mechanical, built in 1949 (Works no.2271), was stabled in the famous locomotive erecting shop on the 28th July 1982. The loco is now preserved on the Alderney Railway.